Sam Adams releases a number of variety packs over the course of the year, usually changing them with each season. This month they also released a special new pack, called the Brewing The American Dream Collaboration Pack. This 12-pack features two bottles of Boston Lager along with two bottles each of five new collaboration beers. Each collaboration is with a brewery that helped get their start by participating in the Sam Adams Brewing for the American Dream program, which provides training and loans that helped make these brewers dreams a reality. Profits from this 12 pack will be funneled back into the program to help the next generation of American brewers get started. I was very excited to try the beers in this pack (disclosure: they were provided by Sam Adams). Here are my thoughts on each shown in order of how much I liked them, starting with my personal favorite. Boston Tea Party Saison: Collaboration with Woods Beer Company in San Francisco, CA. 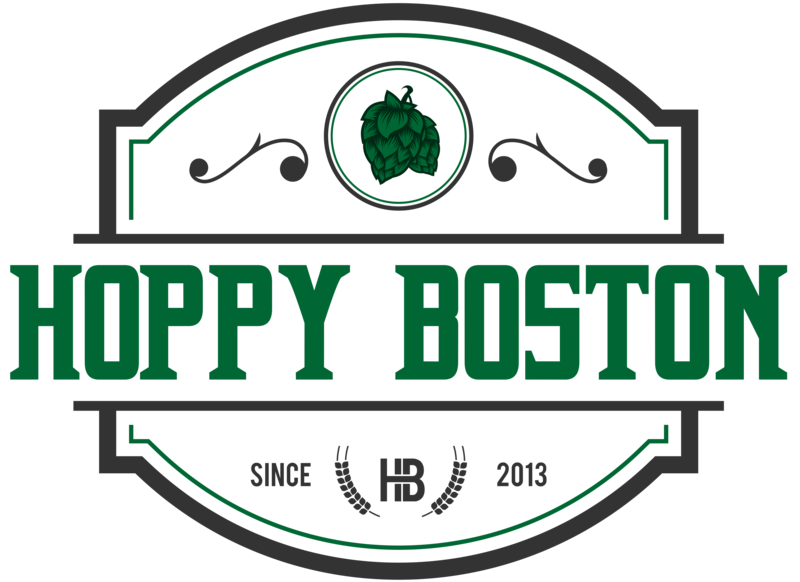 Boston Tea Party is a saison brewed with yerba mate tea, coriander and grains of paradise and fermented with the yeast strain used in Sam Adams Kosmic Mother Funk. My favorite beer in the pack, funky yeast on the nose and tons of flavor from the fermentation, apple, pear, a little acidity along with the distinct flavor imparted by the Brettanomyces. The spices add complexity without overwhelming the beer, and the finish is dry and just a touch tart. A complex but still easy to drink saison. Oats McGoats Stout: Collaboration with Brewery Rickoli in Wheat Ridge, CO. Oats McGoats is a gluten-reduced oatmeal stout. A little roasted barley on the nose, and full dark malt flavors, milk chocolate, toffee, espresso. A little bit of herbal hops round out this full bodied but still easy drinking beer. You would have no idea the beer is gluten-reduced, it’s a tasty and flavorful stout. ThreeNinety Bock: Collaboration with Roc Brewing in Rochester, NY. ThreeNinety is a Helles Bock brewed with Mosaic and Hallertau Mittelfrueh hops and named after the distance between Boston and Rochester. This is a super drinkable maibock, crisp and clean. The crackers and bread from the malts meld well with grassy and herbal hops. I enjoyed the beer, but I would have liked to see the fruity Mosaic hops shine through a little more, it would have made it a little more unique. Time Hop Porter: Collaboration with ChuckAlek Independent Brewers, Ramona, CA. Time Hop is a hopped up porter brewed with Zeus, Chinook, Cascade and Goldings hops. Dark chocolate and black coffee notes from the malt combine with grass, pine and lemon from the hops. Smooth, drinkable and not too boozy at 5.3% ABV. I have mixed opinions on this beer, it was a interesting take on a porter with the extra hops, but not what I usually love about the style. Hop-heads might love this beer, for me it was just OK.
Desert Kaleidoscope IPA: Collaboration with Bosque Brewing in Albuquerque, NM. A West Coast IPA brewed with Zeus, Cascade, Mosaic and Ekuanot hops. This IPA features solid hop flavor, notes of pine, lemon and grass along with substantial malt, with touches of honey and caramel. I would have liked some more hop aroma, for me that pungent aroma is make or break in an IPA and I didn’t get enough of it here.